While in Southeast Asia, we've made the trip to Bangkok a total of 4 times. The first one was for the Thai New Year festival or Songkran. The second was a stop-over coming from Siem Reap, Cambodia en route to Chiang Mai in the Northern part of Thailand. We had to make another stop on our way to the island of Koh Tao. And then a final stop when we flew out to Myanmar. 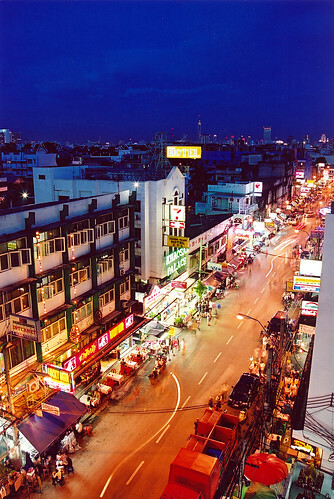 4 stops in Bangkok. This story is not an uncommon one. 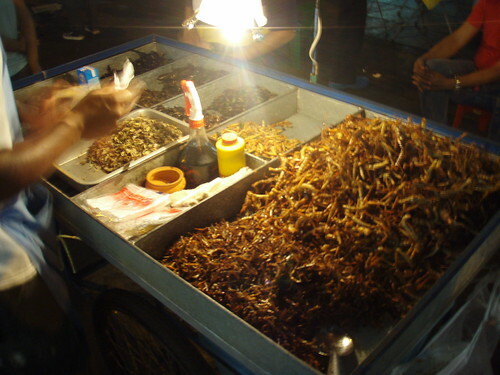 For as they say, all backpacker roads all end up in Bangkok, specifically Khao San Road. Some backpackers are leaving for Thailand's neighboring countries like Laos and Cambodia. Some are processing their visas for Myanmar or India. Khao San Road always has a backpacker either coming, going or...waiting. It is indeed the backpacker's purgatory. In the 4 times, we've slept, played, hung out, wasted time and ate a lot of deliciously cheap Thai food on Khao San road and it's surrounding areas. We've learned quite a lot. The Sole Sisters and Khao San have known each other quite well in those times. We've discovered her secrets. Khao San road is not just a place to buy cheap clothes or tacky souveneirs. It's not all about rooftop bars, Thai girls in skimpy clothes. Nor is it just a place to find cheap backpacker accommodation and get those awfully cliche dreadlocks. There's more to Khao San than all that. 1 Nappark Hostel - where I stayed during Songkran. Although dorm bed's are not cheap at 500 THB or 16 USD a night, it was worth every cent. The bathrooms were perfect, the staff super friendly. It is right in the center of where everything is. Best of all, and this is the clincher, you will meet a lot of great people from all over the world! I've met a lot of people from Nappark whom I now call friends. I'm telling you, it's where the cool cats hang out. 2 Chichi's Mama who serves the best chicken rice in the whole of Khao San. Say hi to Mama for me, aite? 3 Sawasdee Welcome Inn - At 100 THB (3.30 USD), these are cheapest rooms you can find in Khao San road. What's not to love? 4 Chichi's Papa who sells the most delicious milky pork barbeque and sticky rice at night. The 2 Thais I met while having a few drinks at a bar pointed me to him when I said I was craving for food. Khop khun khap! 5 Cheapest and the best fruit shakes in the neighborhood. Just walk on the left side of Chakrapong Road (the main road) past the bridge. Heaven consisting of fruits, milk and ice blended together awaits once you get off the bridge. 6 Water refilling station for 1 THB per liter. If you're a poorpacker, you know it's a waste of precious money when you buy bottles of water at 711. 7 Susie Walking Street - shortcut between Rambutri and Khao San roads. 8 Shortcut to Rambutri - You go through a temple and pass monks to get to Rambuttri. Warning: This is open only from 6am-6pm. So if you're coming home after a night out partying, use shortcut on #11. 9 Lunch at the Temple - Cheap Thai food but with generous portions. Oh, did I mention it's on the temple grounds? Bonus cool points. 11 Shortcut from Khao San road to Sawasdee Inn - Walk through Traveller's restaurant via a series of stairsm for the shortest way back to sawasdee Welcome Inn, your cheap home. 12 Lois and Eugen's hand and foot imprint. On the way to #6 to get water, they found fresh cement on the pavement and couldn't resist immortizing themselves on the streets of Khao San. Visit it like you would those hand prints of semi-popular people on Hollywood Boulevard. It's the same thing really. 13 Where all the bus companies, regardless if you're coming the North, southern islands, Laos or Cambodia. Everyone drops you off here. You walk. Sometimes we wonder if these buses have 5th wheel warranty. 15 Even more food stalls! 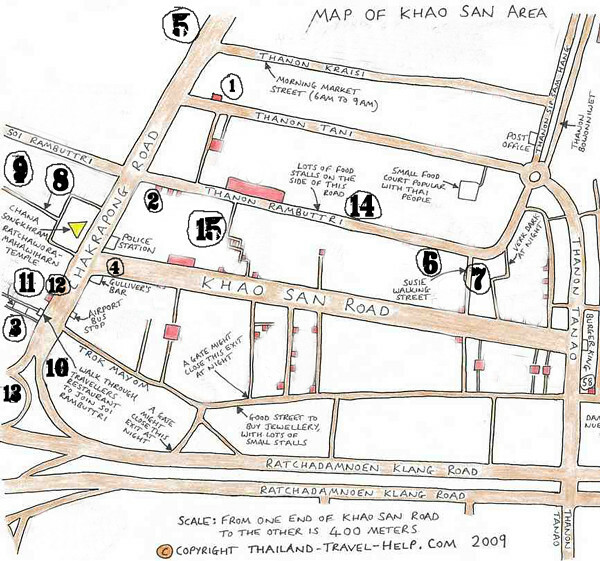 I've shared my secrets about Khao San road so you may benefit from them. I wonder, when will you be in the backpacker's purgatory? Main photo by marklkelly, Bugs photo by geordieb. Khao San!!!! My Khao San! I have the fondest of memories in this small road with a BIG universe in it! can't wait to come back and relive the pulsating energy! Looking forward to visiting this next month, I've always wanted to see it with my own eyes since reading about it on the opening page of Alex Garland's "The Beach"
It's where everyone waits for something but as long you know where to hang out and what to do, it's fun waiting. It has a definitive energy about it alright! Probabaly a lot different now than it was in Garland's time. Sawasdee Inn was cheap enough for us, especially during the last few months of our trip when money was tight already. KSR seems a little daunting at first but everyone gets comfortable after a few days. Super layo ng Silom but I heard it's quieter there? Khao San is crowded but as long as you stay in the soi's near it and not actually on it, it's perfect! Thanks for the tips - I'm coming to Thailand next month and was actually looking for accommodation offers. Do you think I need to book in advance to get a place in Khao San?